Saturday April 9, 2016: 3:45pm at the Northfield Retirement Center Chapel and 7:00pm at the Northfield Senior Center Performance Room. Two 45-year members of the state’s premier Civil War re-enacting unit, the First Minnesota Volunteer Infantry, will explain and demonstrate the fife and drums as played during the American Civil War and various calls, signals and martial airs that were an essential part of the daily life of all Minnesota’s volunteer soldiers 150 years ago. The men will be wearing authentic copies of original clothing and accessories. Monday September 28, 2015: 3:15pm at the Northfield Retirement Center Chapel and 7:00 PM at the Northfield Senior Center Performance Room. Paul Mayberry of Savage, MN, music historian, arranger and conductor (as well as a tuba player} is our inaugural speaker. He is well known for finding brass band music from the 19th century and arranging it for bands to perform today. 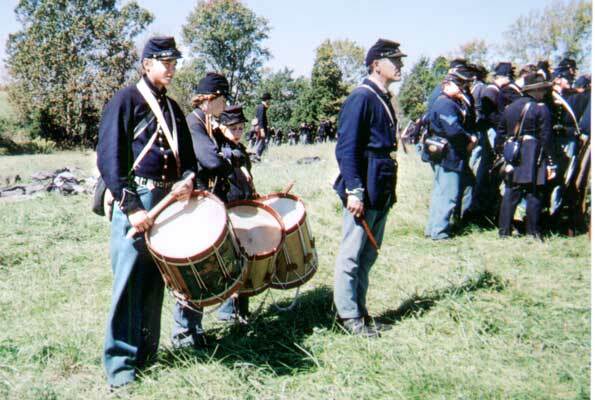 He arranged the music for Ken Burns’ television series on the Civil War and on baseball. Paul will bring rare 19th century brass band instruments, photographs and recordings to present a program on the Story of Brass Bands in America. Monday October 26, 2015: 3:15pm at the Northfield Retirement Center Chapel and 7:00 PM at the Northfield Senior Center Performance Room. 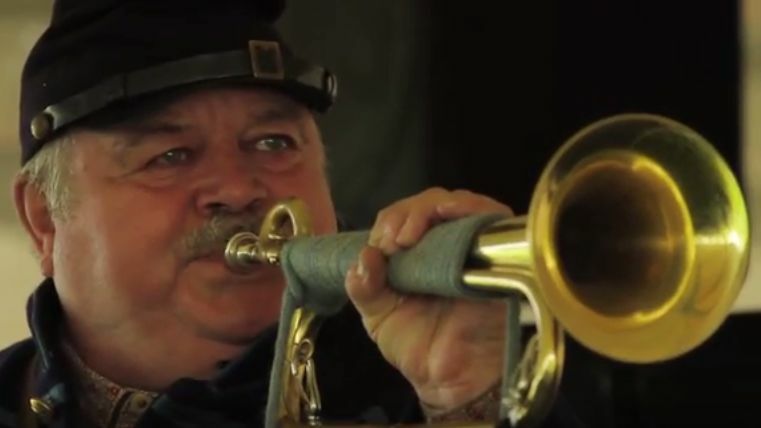 Bugler Bill, a Civil War Re-enactor and bugle historian from the Twin Cities will present a lively program on Civil War Bugler history and do all the calls “in character.” He is a popular presenter at Civil War Round Tables and in schools. He will bring several bugles to show and to play. There’s a well-done Youtube video here that previews Bugler Bill’s presentation. Monday November 23, 2015: 3:15pm at the Northfield Retirement Center Chapel and 7:00 PM at the Northfield Senior Center Performance Room. Northfield’s own Joy Riggs will give us the highlights of a book she is writing about her own Great Grandfather G. Oliver Riggs, a 19th and early 20th Century Midwestern Band Director, a real live Music Man. He toured with a band in the early 20th Century that visited Civil War Battle Fields to dedicate monuments to Soldiers from the upper Midwest. Joy comes from generations of music educators and is a dedicated volunteer for many music groups in Northfield, serving on the Board of Directors for the Northfield Youth Choirs and for the Vintage Band Festival. She is an award winning magazine columnist, writer and a blogger at My Musical Family.